CT Fletcher was born on June 8, 1959, in Pine Bluff, Arkansas. He is one of the biggest, strongest, boldest and the greatest drug-free Bodybuilder. CT Fletcher served in US army, worked in Postal Services and tried other jobs until in 1980, he became enthralled with bodybuilding which, he calls a turning point in his life. Not only did he become the most powerful Bodybuilder but also the Power-lifter which he is best known as. He raised all the bars of powerlifting by setting unprecedented standards. Anyone who hits the Gym today or is a bodybuilder would know who CT Fletcher is. He has inspired millions to go for their passion. Please subscribe to our website for more motivational content. Thank you for sharing superb informations. Your website is so cool. I’m impressed by the details that you have on this blog. It reveals how nicely you understand this subject. Bookmarked this website page, will come back for more articles. You, my friend, ROCK! I found simply the information I already searched all over the place and just couldn’t come across. What a great web-site. 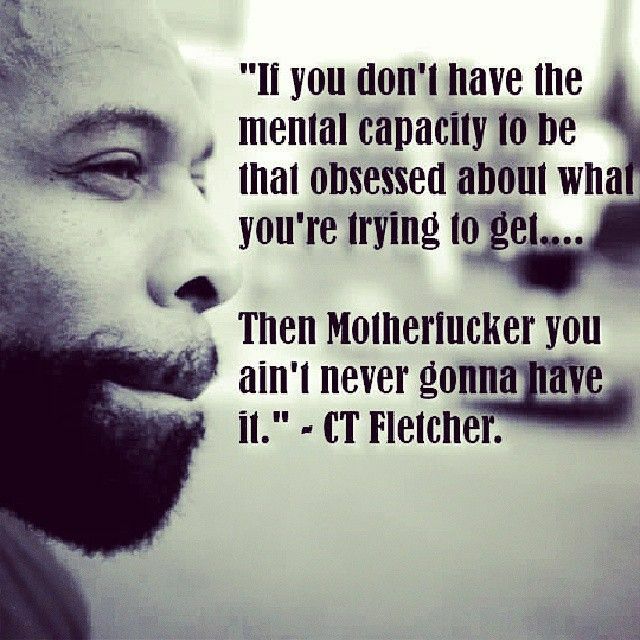 I love CT Fletcher…these are some of his best quotes for sure! !